On the lookout for pvcu window contractors in Glasgow? Our double glazing contractors in Glasgow are able to offer you the best quotes to have A rated double glazing fitted in your home. Installing double glazed windows in the house will take less than one day, creating minimal trouble and disturbance. Professional double glazing businesses in Glasgow will measure your windows and fit in the glazing, instantly saving you money on energy costs. Double glazing is created to save by retaining heat in your house. Take into account that you'll make awesome energy monthly bill and carbon dioxide emission savings with A rated upvc double glazing in Glasgow. We will supply you with no obligation quotations from businesses in Glasgow who will be able to offer you free surveys to work out the expense of replacement windows and help you start making savings today. After that you can take a look at these quotes and figure out the best new double glazing costs. Glasgow is the largest Scottish city, situated on the River Clyde having a population of 592,000 and found in the West Central Lowlands. City relocation tasks in the 60s led to a whole lot of the populace moving to new towns and suburbs and presently there are 1,199,629 people located in the Greater Glasgow urban region. Keeping up with and bringing up-to-date your property is essential to keeping and adding value, so make use of our database of vetted trades-people to your advantage. Double glazing is a brilliant purchase if you want to reduce bills and keep your property warmer all year round. New house windows are rated from G, the least efficient, to A, the most efficient. The more efficient your windows the more you'll save. Get the best new double glazing firms in Glasgow using Quotatis to compare and contrast prices. You can rest assured of getting a reliable and trustworthy business to finish the work. Project: Customer visited the mywindowsprices.co.uk site and submitted an enquiry. Glazing type: Double, Work description: 2 upper bedroom windows that can open out. The guy talked about how much he liked money and going on holiday which put me off! Took the hassle out of phoning round lots of different companies. We are all busy so this service helped cut time and effort out of the process. Found an ideal company to carry out my work . We noted 15,071 requests for property double glazing quotations in Glasgow. Of these quotation requests the number of double glazing quotes in Glasgow was 390. Quotatis would have been able to match these customers with up to four suitable installers who were available for work in Glasgow at that time. Request a free home survey from reputable companies in Glasgow. The pie chart directly below illustrates the UK's population according to regions. Britain's total population is more than 62 million, with the largest portion of people in the South East, Greater London and North West regions. The table under the pie chart displays the UK's populace in regions as a figure. As you can see, both the South East and Greater London have got in excess of eight million occupants, whilst Northern Ireland and the North East have the fewest inhabitants. With the data underneath you can view the amount of solar panel installations there have been in Glasgow. Solar electricity has grown in popularity and a lot of homeowners are now hoping to have this renewable technology set up on their rooftop to reduce energy bills and generate a tax-free income. Why not see if you can join the thousands of UK property owners creating their own green friendly electricity. The UK house market has slowed somewhat throughout the last 10 years as more people prefer to stay put rather than relocate. This is primarily because of the large costs associated with moving and people are choosing to build conservatories or alter rooms in the home to get extra space. The table underneath shows how many homes have sold in Glasgow during the last 7 years. The housing market is in a downturn, with many property owners preferring to stay put and improve their home rather than just relocate. Improving your own home can easily see you add thousands of pounds towards the value and betters your odds of selling too. 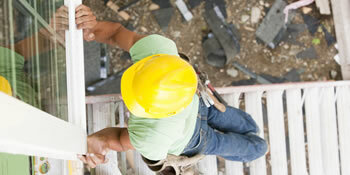 Have a home improvement job and need a recommended installer? Quotatis will help you find the best tradesperson in Glasgow and nationally, so you get the best possible value for money. Simply search for your project and request up to 4 quotes.